A Ca–P coating was electrochemically deposited on micro-arc oxidized Ti–6Al–4V to improve the alloy’s biological activity. 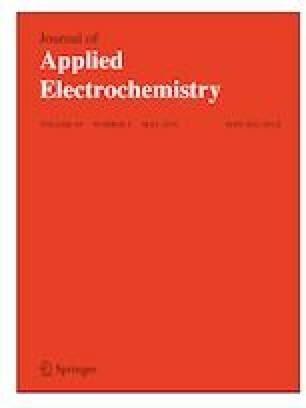 The influence of the applied voltage on the microstructure and corrosion resistance of the Ca–P coating was investigated. The coating’s evolution mechanism in vitro was also discussed. The surfaces of the coated specimens were characterized by X-ray diffraction, scanning electron microscopy, electrochemical impedance spectroscopy, and potentiodynamic polarization tests. The results indicated that the applied voltage had a distinct effect on the phase composition, morphology, and thickness as well as the corrosion behavior of the deposited coatings. 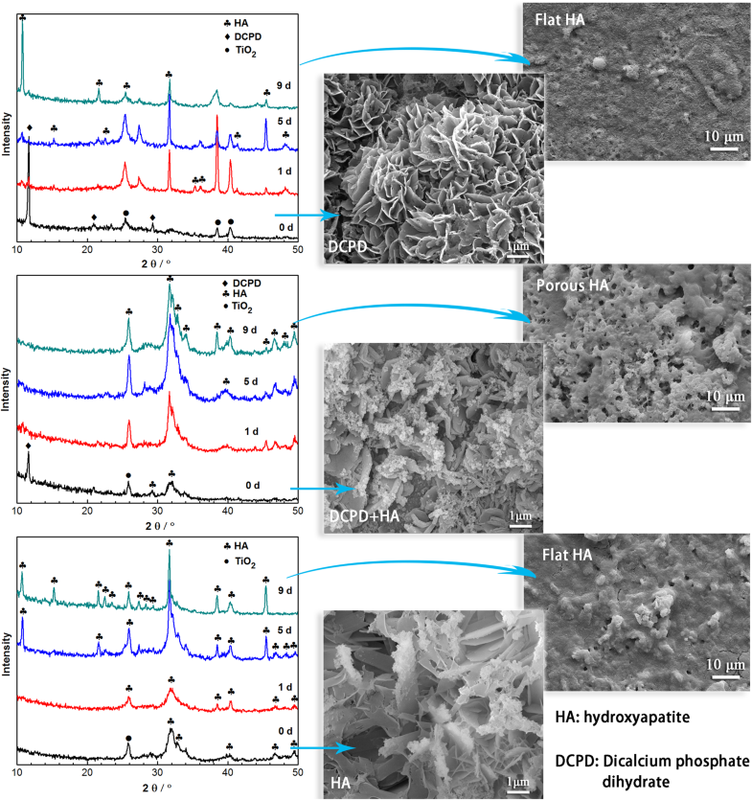 Dicalcium phosphate dihydrate tended to form at 2.5 V, whereas hydroxyapatite deposited at 4.5 V. The coating prepared at 3.5 V consisted of both dicalcium phosphate dihydrate and hydroxyapatite. All the coatings could induce apatite formation in simulated body fluid. The passive current densities of the specimens prepared at 3.5 V and 4.5 V were about two orders of magnitude smaller than that of the 2.5 V sample. The specimen prepared at 3.5 V obtained the best corrosion resistance, which had the highest resistance of the Ca–P coating and micro-arc oxidation layer. The Project is supported by the National Natural Science Foundation of China (Grant no. 51272055).